Stacking The Shelves is all about sharing the books you are adding to your shelves, may it be physical or virtual. This means you can include books you buy in physical stores or online bookshops, books you borrow from friends or the library, review books, gifts and of course eBooks. Hosted by Tyngas Reviews. 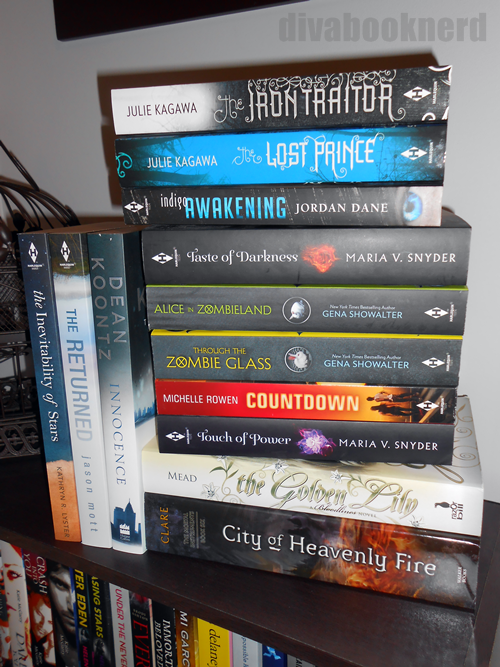 Don't forget to sign up for our Aussie YA Bloggers newsletter here. Let's Get Lost by Adi Alsaid. Five strangers. Countless adventures. One epic way to get lost. I love young adult adventures and this one sounds like an incredible road trip. Thank you so much to Harlequin Australia. Gap by Rebecca Jessen. Winner of the 2013 Queensland Literary Award for Best Emerging Author, Gap is a serious thriller testing the limits of how far you'd go to protect the one you love. A big thank you to UQP. Broken Strings by Maria Farrer. The the story of a brilliant young violinist, her determination and struggle to achieve her dreams. I love music based books and really excited to read this one. Thank you to Scholastic Australia. Also purchased The Golden Lily by Richelle Mead and City of Heavenly Fire by Cassandra Clare. If you follow me on Twitter, you would have seen my whiny rant. This below was the cause. Seeing I had purchased it online and the purchase page didn't state the book sizing, I had no idea it would have been so big. I wasn't aware that when some books are first released, they bring out these whopping editions, and later the smaller paperback version. 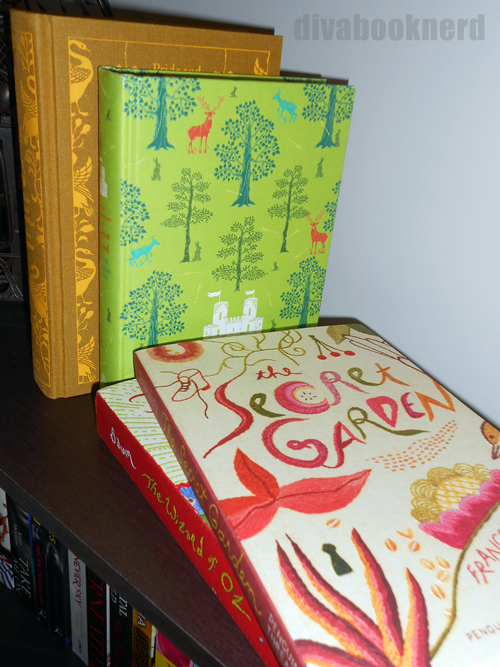 I picked up these four beautiful collectors editions of the Penguin Clothbound Classics and Penguin Thread editions. You can find out all about them here. Keep an eye out for a new feature in which I'll showcase all my collectors classics in shelfies. In would be very frustrated with that too Kelly! Maybe when the smaller paperback version gets released you can use this big whopper for a giveaway? I think I probably will Amir, or sell this copy on eBay. It's just sitting on my shelves now and won't read it. It's enormous and so bloody heavy. 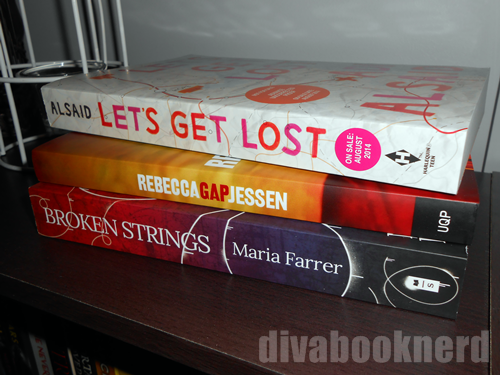 I'm really excited to read Gap, UQP only publish really thought provoking young adult with strong social messages. Aren't they! Oh, I love them! I could just stare at them all day. I'm going to read them though, at least once. But not around you, incase you're hungry and want to snack on them. The Returned by Jason Mott, I spy! I love that book. It's such a touching read, and one of the best books I've ever read for sure, because it touched me and taught me a lot about loving again, letting go, and forgiving yourself. Man, I feel like crying again.... this happens whenever I think about that book. No, no, that's not a tear in my eye... I said no, damnit! Haha. I'll definitely have to move it up my list now to read soon. You're one of the most picky readers I know, so if you loved it that much, no doubt I will too. They're just beautiful aren't they. Ooh, that Alice in Wonderland has left me on the verge of drooling, it's one of my favourites. I've already got four copies from the children's classic to other hardcovers too. I need it now, stop tempting me woman! How many have you got in your collection now? 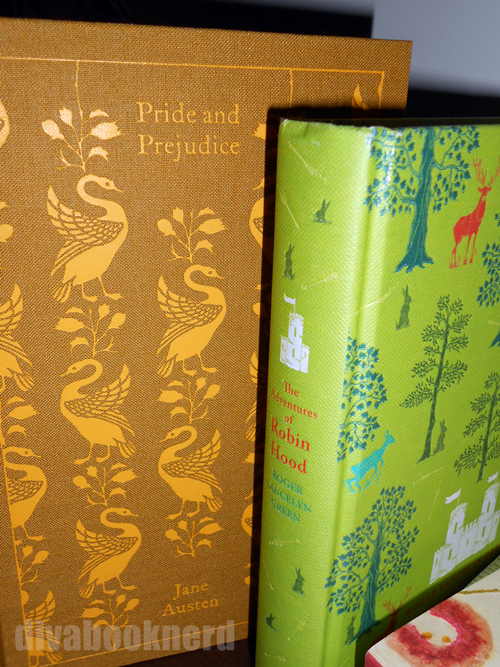 I absolutely ADORE the Penguin Clothbound Classics and the Penguin Threads collection, every single book is gorgeous! I had to stop myself from buying the Penguin Threads edition of Little Women today. It was the first time I'd seen it in person, and it was gorgeous! However, I already have 3 copies floating around somewhere, so I couldn't quite justify buying yet another one. Urgh, don't they just! I'm just keeping mine aside until the regular size copy comes out. I'm a bit hesitant to read it anyway, so many haven't enjoyed it especially that she's slotted in all new characters to launch her next series. The Penguin Threads are my favourites too. I've still got a few more to come, I probably spent far too much on collectors editions lately, but they're just too pretty to pass up. I'm interested in Let's Get Lost! I love books bout traveling! I might like Broken Strings too because I like music books too. Hearing about all the sales in Australia from you and Jeann makes me want to liberal there. Lol. So lucky! Also, I would totally feel uncomfortable about that City of Heavenly Fire! Ahh, are they the Barnes and Noble leatherbound classics? They're so pretty and really expensive. Some titles you can find for $25au each here, but I can imagine the international post would be a killer. I'd love to have a monthly readalong of the classics. I haven't read any classics, apart from Alice in Wonderland. But I wonder if they make them pretty because they're typically dull. The duller the book, the prettier the cover. I think I may be onto something. I love all of these! I think you will really like Countdown. It was really good. Ummm, when you read Alice in Zombieland, don't go into it expecting it to be very Alice in Wonderland-ish, because it isn't. 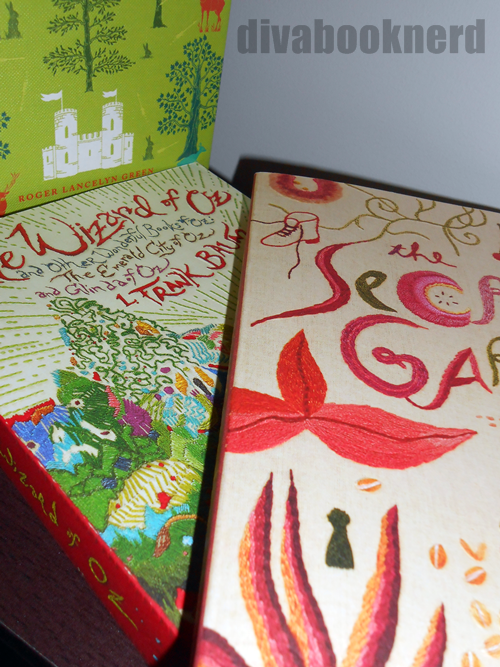 But it is still a really good series (plus, you will want to throw something at Cole in the second book :/ ) I envy you and that gorgeous copy of The Secret Garden!!! Those Classics covers look SOOOO pretty and if I had the money/the space I would buy them all for my theoretical Beauty and the Beast library that one day I will have. All those Harlequin books look awesome! 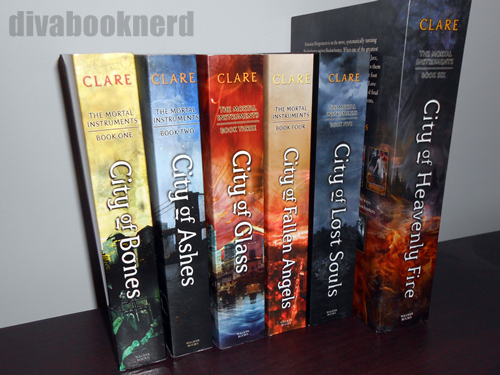 I hope you enjoy the Maria V. Snyder books :D And I'm so sorry about CoHF :( I hate when that happens too.